Looking to up your trad climbing game? Then join Chicks for a women’s-only Joshua Tree climbing weekend at Joshua Tree National Park, California. 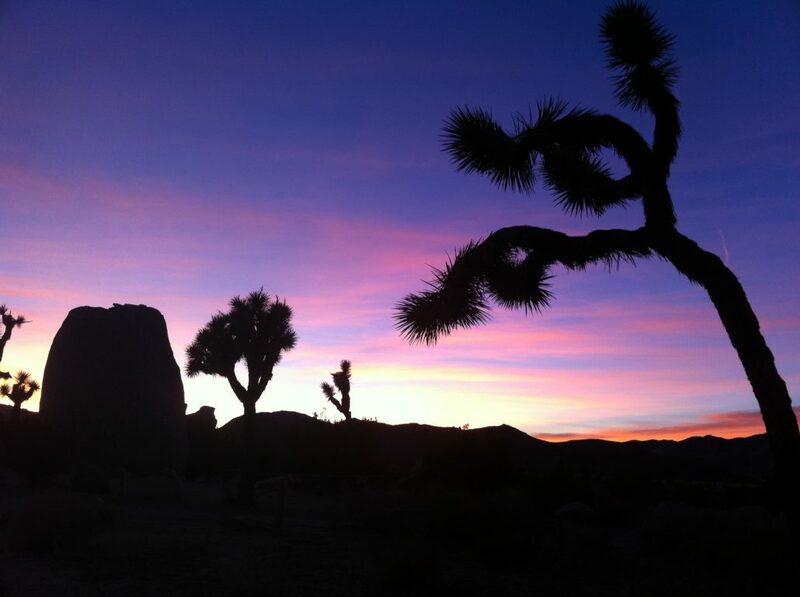 Joshua Tree is an “old-school” climbing area that is steeped with climbing history. Most of the climbing in Joshua Tree is traditionally protected crack climbing, but there are friction face climbs that are sparsely bolted. Generally, there aren’t many fixed anchors due to J-Tree’s protected wilderness status, so it’s the perfect venue to work on technical skills like gear placement and anchor building. Joshua Tree National Park’s surreal landscape is littered with giant monzonite granite cliffs and boulders, while the unique Joshua Trees stand guard as far as the eye can see. The approaches to Joshua Tree climbing areas are generally short, flat hikes which allows us to maximize climbing time each day. Our Joshua Tree climbing clinic is perfect for all levels of climbers, ideal for beginners to advanced climbers alike. The variety of terrain allows us to tailor the clinics to your experience level and goals. We will divide you into one of 4 different levels so that people with similar experience, ability, and goals are grouped together to facilitate the best learning environment for you at an appropriate level of challenge. Each level is comprehensive and aims to make you a more confident and self-reliant climber. This program is packed with climbing and instructional time so you’ll gain lots of practice and valuable experience as you learn to maneuver granite while climbing in Joshua Tree. Arrive at Joshua Tree early enough to drive an hour from the airport and get settled in. Allow about an hour of extra time if you plan to stop for groceries. 5:00 pm: Check into the rental house. Directions to be provided. 6:00 pm: Kick-off meeting/orientation meeting. Demo gear handed out and catered group dinner. 7:00 am: Breakfast meet and gear up for the day. 8:00 am –4:00 pm: Carpool to the climbing area, about a 10-20 minute drive. Climbing in Joshua Tree National Park. 7:00 am: Breakfast. Meet and gear up for the day. 7:00 am: Breakfast. Pack up personal belongings, check out of the rental house, then depart for climbing. 3:30 pm: Wrap up meeting at the climbing area. **Lodging and dinner are not included on the last day of our programs. If you want to spend an extra night, please make your own lodging arrangements.